The Dory Fleet fishermen use this small flat-bottomed boat to crash through the surf headed for the plentiful waters of the Pacific. At day’s end, they ride the waves back to shore and slide onto the beach. 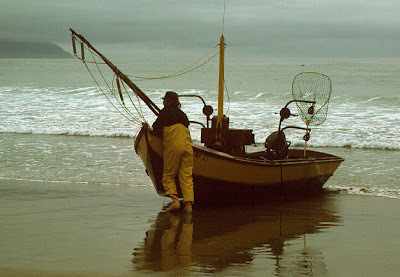 The original design of the dory allows it to launch from and land on the shore. There will be Dory rides, food vendors and arts & craft vendors. 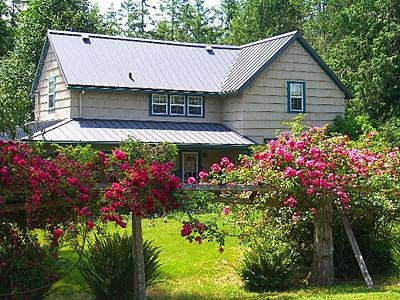 Haystack Rock in Pacific City is only minutes from Sandlake Country Inn on the beautiful Oregon Coast. Come and enjoy this Oregon Coast festival and have some of the best fish and chips around! Pig n what???? Yup you read it right. 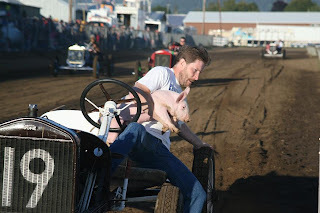 It's the World Famous Pig-n-Ford races right here at the Tillamook County Fair. Ron and I really enjoy going to the Tillamook County Fair each year. It's a slice of Americana which is so rare these days. The highlight of the fair are the preliminary heats as well as the finals of the Pig-n-Ford race. These Model T Fords aren’t buffed and shined, they’re built for speed. And carrying small pigs. Their souped-up jalopies are the stallions in the World Famous Pig-N-Ford Races, the highlight of the annual Tillamook County Fair. Aug. 5 through Aug. 8th, people from all over the state will converge on this pastureland to enjoy horse racing, talent shows, country music stars, 4-H exhibits and carnival rides. For many, it’s all just a warm-up to the Pig-N-Ford, in which competitors grab 20-pound pigs from a pen, crank up their Model T’s, jump in and race around the track, with dust, gears and laughter flying. This crowd-favorite event has been featured on Good Morning America and KATU’s Spirit of the Northwest, and in publications like National Geographic. But the standing-room-only crowds are just part of the allure. It's hard for us to believe, but 8 years ago today, we signed the escrow papers and Sandlake Country Inn was officially ours. What a journey it's been. As we enter into our 9th summer we are thankful of all the wonderful people who have entered through our doors. When we look back at those early days we can now laugh at how "green" we were, and no, I'm not talking about eco-friendly! It's a good thing that there were no cameras in the kitchen. I can't tell you how many "plan B's" there were in those early days. If you were one of our guests from back then and your entree turned out to be an omelet, well, you got a "plan B". I learned early on that the toughest part of getting out breakfast for 8 was timing. Oh, and having really good pot holders. Yikes! A couple times "plan B" happened because "plan A" had landed on the floor! Since the burn out rate for innkeepers is 7 1/2 years, I guess we've outlasted the norm and are still going strong. 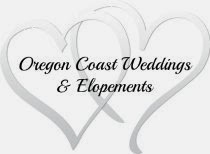 We love living in this beautiful area on the Oregon coast and realized quickly that Oregon was going to be our home for a very long time. It still amazes us how kind and friendly the people in the Northwest are. If you don't live in the NW and are considering a trip here, don't be surprised if when you leave to go back home, you may just tuck away in that far recess of your mind, the thought that you might like to live here yourself some day.